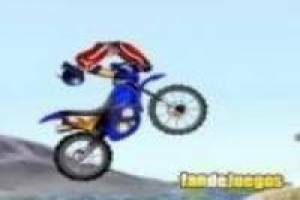 Get ready to do the greatest acrobatics on your motocross bike. You will have to complete each of these levels by reaching the objective score that is established in them. It seems easy, but controlling the bike will cost you more than you think. Use the arrow keys to move and make turns in the air to score. You can also use the numeric keys to do other acrobatics in the air with which to add points to your marker. You have two minutes of time to do as many pirouettes as you can to reach the score established in the level. If you fall to the ground you will have to start again from the beginning, the time will restart but you will have lost your accumulated points. 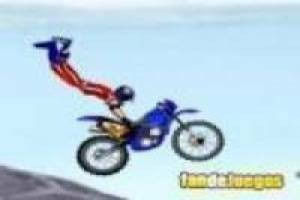 Become the best motocross rider in the world and do incredible acrobatics. 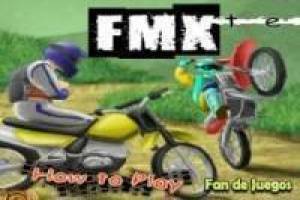 Enjoy the game Fmx team, it's free, it's one of our motorcycles games we've selected.